(Reuters) – Fierce, dry winds were expected to fan the flames of deadly wildfires burning in California on Monday, heightening the risk of fresh blazes from scattered embers and making driving conditions difficult. In the northern part of the state, Butte County Sheriff Kory Honea said at least 228 people were still missing as of early Monday in the so-called Camp Fire, the state’s most destructive blaze on record, one of two fires raging in the state that have killed at least 31 people. 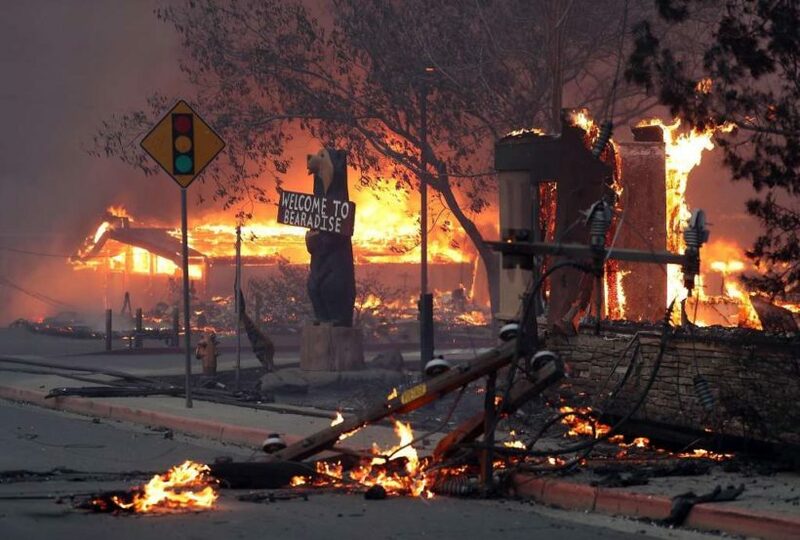 The Camp Fire, 40 miles northwest of Sacramento, burned down more than 6,700 homes and businesses in the town of Paradise, more structures than any other wildfire recorded in California. The fires have been whipped up by hot dry winds expected to continue through Tuesday evening, according to officials. Wind gusts of up to 60 miles per hour were expected in the mountains, valleys and canyons of Southern California, raising the possibility of downed power lines and trees. This, in combination with low humidity, was expected to create the perfect conditions for fires to spread. 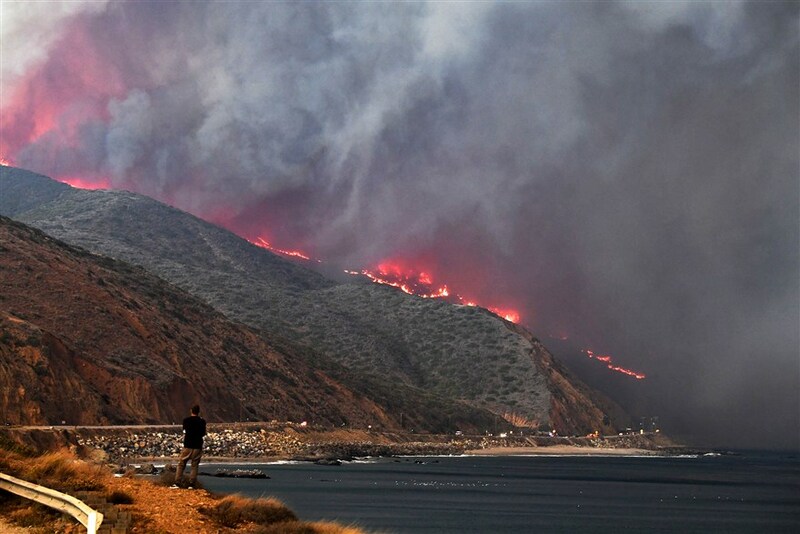 The blaze has forced authorities to issue evacuation orders for a quarter million people in Ventura and Los Angeles counties and beachside communities including the Malibu beach colony. Published at Reuters on November 12. Reprinted here for educational purposes only. May not be reproduced on other websites without permission from Thomson Reuters. 2. 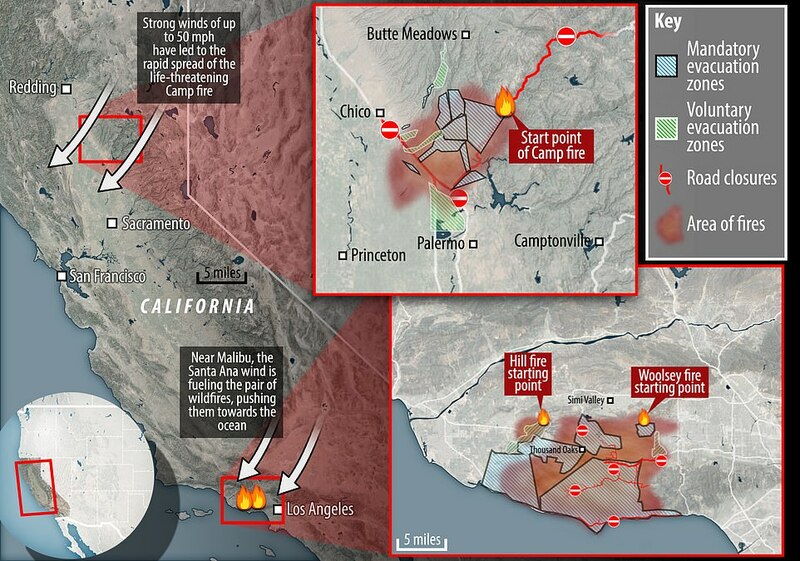 What is significant about the Camp Fire in California? 4. How many people have been told to evacuate in Southern California due to the Woolsey Fire? 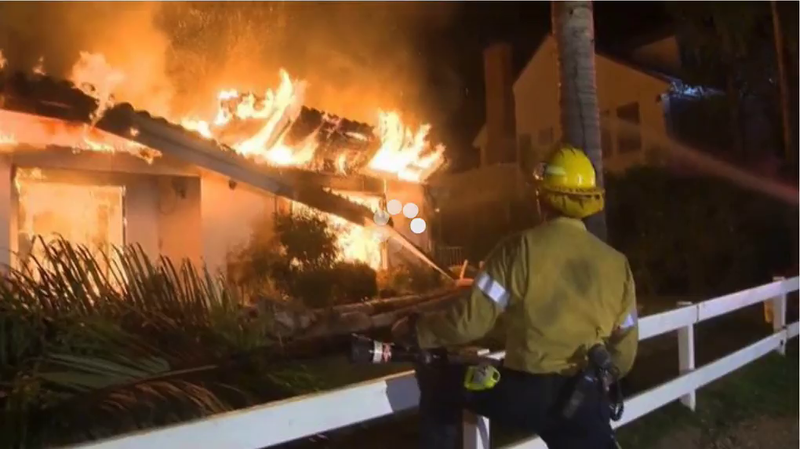 …A recent Villanova University study found there are about 7 million homes in fire-prone areas in the West, more than 10 times the 600,000 or so that were present in 1940. That includes nearly 2,000 homes in Folsom and about 4,600 in the greater Sacramento region. Environmental scientists believe 1.2 million more could be built in the highest-risk areas statewide between 2000 and 2050. The same bucolic landscape that earned Paradise its name can magnify the effects of natural disasters, Cal Fire spokesman Rick Carhart said. Paradise is built atop a ridge, with canyons descending on either side. Carhart said fires that reach the bottom of canyons have every intention of climbing back to the top. Those kinds of geographic features are present in many foothill towns, where development continues to push dense housing deeper into rural areas. The infrastructure necessary for housing also brings dangers. Overhead power lines have been cited or suspected as the cause of some of California’s most deadly wildfires, prompting PG&E to try pre-emptive outages when high winds kick in. At this point, Henke said, house hunters should view future blazes as inevitable when buying in places such as the Sierra Nevada foothills and Central Valley. 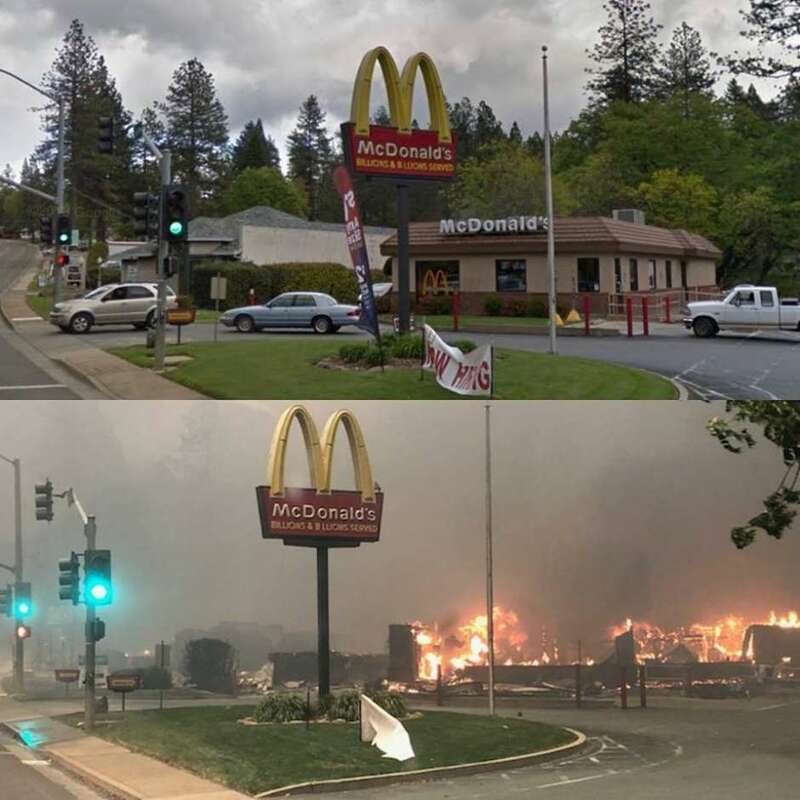 Fire experts use the term wildlife urban interface, or WUI, to refer to the area where human building meets or intermingles with undeveloped natural land. California’s WUI zone grew 20 percent from 1990 to 2010, according to U.S. Forest Service data. Paved streets have replaced underbrush, but most developments on natural land keep some native trees and other vegetation intact, said Keith Gilless, dean emeritus and a current professor of forest economics in UC Berkeley’s College of Natural Resources. When fires get large enough that they “crown” — spread from treetop to treetop — they’ll move nearly as quickly in a vegetation-rich residential neighborhood as they would in the woods, Gilless said.